Lately I’ve been doing a lot fun beauty looks and occasionally Paul Christopher goes for one too. But when it’s time to… take it all off… what’s a diva to do?? PC & I want to make sure our skin is clean of any makeup or dirt or impurities. And we don’t want to have to aggressively rub and aggravate it in the process, particularly for long-wearing and budge-proof formulas. I also have been testing a lot of skincare and with a few too many new products and active ingredients in the mix, my skin has been reacting with a little attitude in a “Girl, chill” kind of way. No bueno. So I also need something that is calming and gentle prior to my multi-step face regimen. This product, dating back from 1905, has been beloved by generations of women (and now Paul too!) for its simplicity and ease of use. Pond’s believes “skin care doesn’t need to be complicated, time-consuming or expensive.” As a user of expensive, high-end products and also budget and natural skin solutions, I would agree. The cold cream cleanser is gentle but deep cleans and quickly!! It also does not dry out the skin. It is incredibly moisturizing and hydrating. It is touted by the brand as being 50% moisturizer. Our skin was SUPER SOFT and supple after use. Like buttah. 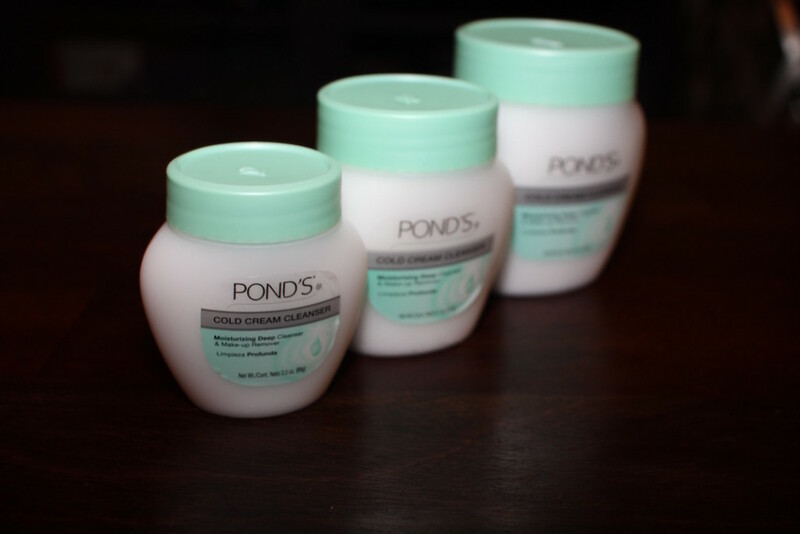 There has been some online discussion about Pond’s changing its original formula. I have never tried the original but I know this product is primarily mineral oil (to remove makeup) and beeswax (to replenish moisture). Mineral oil is somewhat controversial to begin with but many trusted skin experts explain that how mineral oil is made and used in beauty products is safe and effective. Some online also question newly added ingredients. I personally found the product to work very well in removing a full face of makeup quickly and easily. I don’t wear so much makeup every single day so I would save this product for those shoot days or special occasions. Having said that, the middle size (6.1 oz) is only $5 at Target which is kind of incredible. Paul Christopher and even our photographer Paris Pullen also wanted in. Each took home one of the sample jars. I kept the cute mini (3.5 oz). Has anyone else tried Pond’s Cold Cream? Thoughts? ?